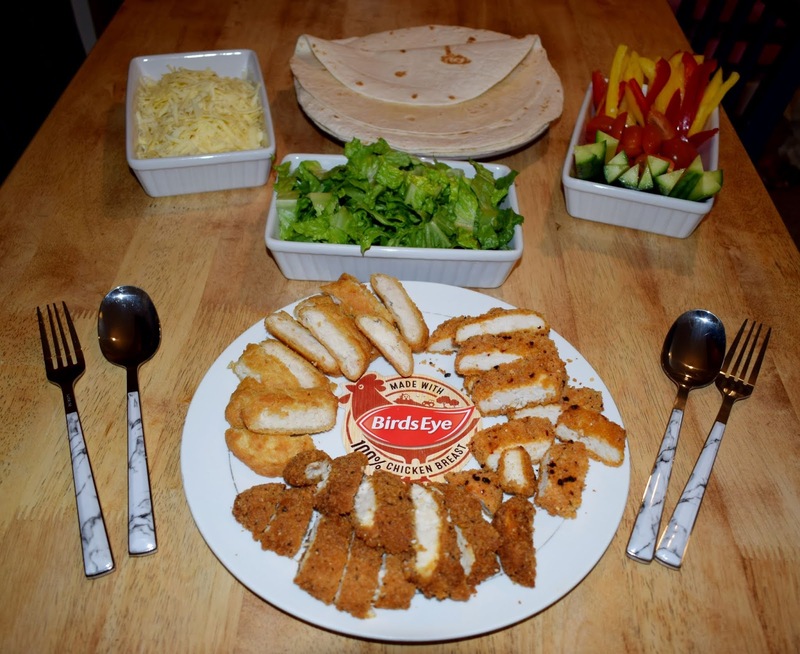 Healthy Family Meal Times with Birds Eye & Costcutter. As a family we always seem to be busy, whether its work, school or one the various after school activities and clubs the kids take part in. It often feels like there just aren't enough hours in the day! So when it comes to tea time I find myself making a quick dash to the local shops to grab something in for everyone before we have to head back out again. Of course even though we are in a rush I still want to be able to give the kids a healthy and nutritious meal, even more so when I know just how much energy they will use up swimming or running around at their clubs too! So I was thrilled to find our local Costcutter store has a great range of offerings available including the Birds Eye 100% chicken range which includes the crispy chicken, hot & spicy and southern fried chicken flavour chicken breasts currently priced at just £1.50 per pack. 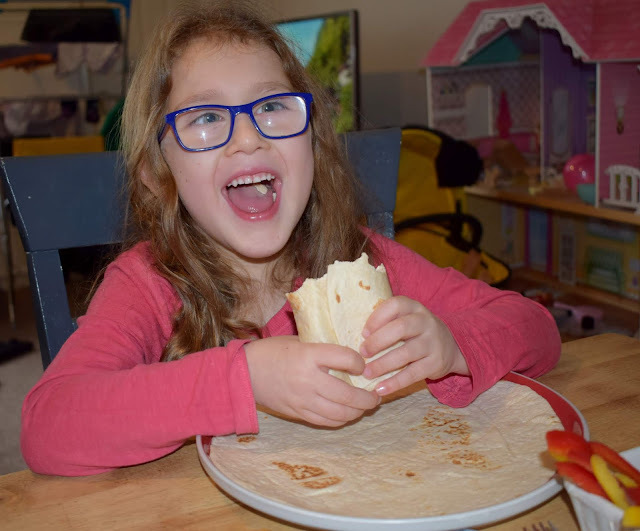 One of our favourite family meals has to be chicken wraps or fajita's. They are quick, easy, healthy and best of all can be adapted to suit everyone in the family so I don't have to cook more than once. 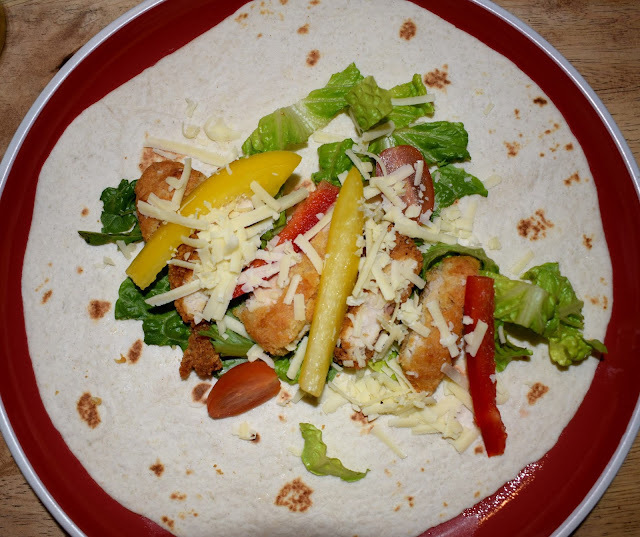 This week we used the Birds Eye chicken breasts that I picked up in our local Costcutter along with wraps and salad to create our own wraps and best of all I managed to get hold of all of the ingredients in my local Costcutter so it was quick and simple to grab. 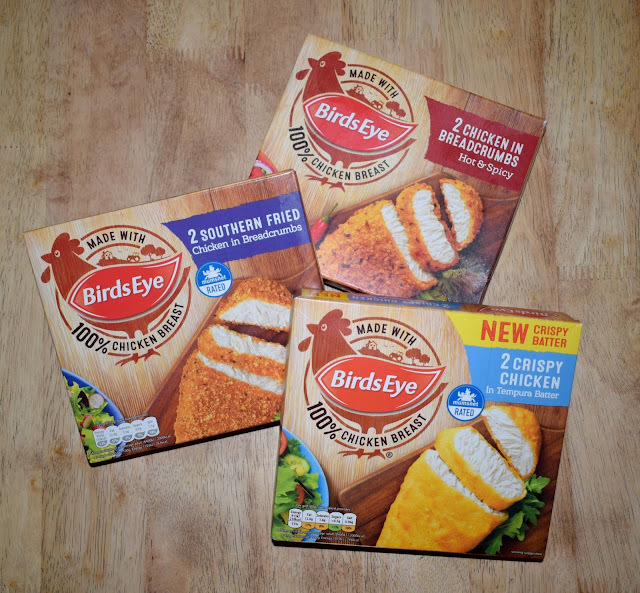 - two or three packs of the Birds Eye 100% chicken breasts (depending on how many flavours you want to try). - Two bell peppers, we chose one red and one yellow cut into batons or thin strips. - half a cucumber cut into batons. - 250g of cheddar cheese. Then a variety of sauces, this time the kids chose ketchup, mayonnaise, salsa and guacamole. The great thing about wraps or fajitas is they are really quick to make. Just place your chosen flavoured chicken breasts into the oven. Whilst they cook you can chop your salad/veg, grate your cheese and warm up your wraps. Once the chicken is out of the oven I slice ours into thin strips to make them easier to put into the wraps. Then everyone can dive straight in adding their chosen salad, cheese and sauces to their wrap. The kids think its great and actually eat some of the salad without even really thinking about it. I think it probably helps its disguised inside the wrap! As I mentioned above there are several flavour varieties to choose from and it was great being able to have a few varieties on the table for everyone to try and choose from. My husband loved the hot and spicy whereas the kids couldn't demolish the crispy chicken fast enough! 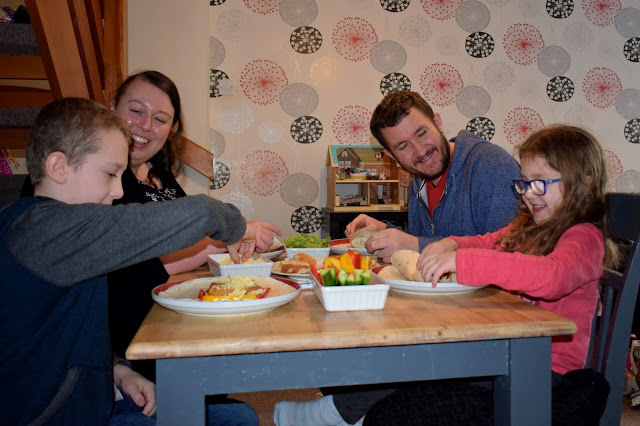 As parents providing our kids healthy meals that they will actually eat is always a worry, well it is in our house anyway as my children can be super fussy sometimes. However I find having something they can get involved with like wraps really makes all the difference as they are enjoying the meal rather than focusing on what exactly is on their plate! Plus being able to pop into a local store like Costcutter knowing they will have products my kids love takes off a lot of the stress, especially when we are already so busy. Whilst Costcutter and Birds Eye might not be able to find us a few more hours in the day they can certainly help out when it comes to meal times. Providing delicious, healthy and affordable family meals that everyone will enjoy! If like me you are always in a rush and fancy checking out your local Costcutter store, you can find your local Costcutter store here.. You can also head over to the Costcutter website and check out their healthy family meal ideas and recipes for lots of meal time inspiration. I love Bird's Eye chicken. It is so tasty! I need to go out and get some more. Thanks for reminding me! This looks fun and something my kids would like too. 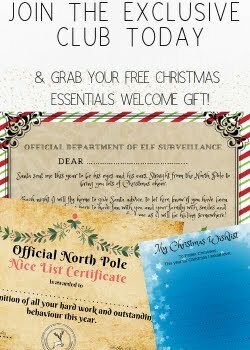 We love the birds eye range, they are so easy and I can have the kids (and us!) fed on a budget, and battling against the clock! This is a great idea! Its a similar idea to the McDonalds wraps and I love them. I'll defo try this out. We often make ‘fake’ MaccyD wraps - kids love them! My kids would love this wrap. I am going to try the recipe. I never thought about having Birds Eye chicken in meals like wraps before! That’s such a brilliant idea, I’ll have to make these for my biggest boy. This is such a lovely dinner idea. I'm glad you found some products that you and your family enjoy.